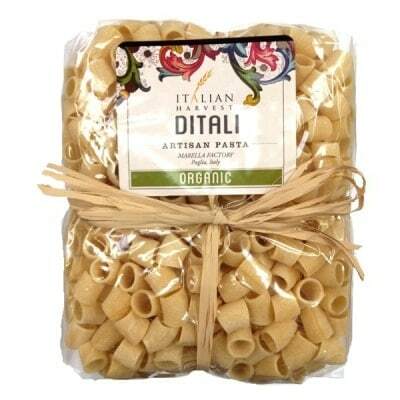 Ditali is a short tubular pasta that’s about 3/8 of an inch, and one of the rare types of pasta that’s from Sicily. This particular bag is made with organic ingredients and is a creation of pasta maker Marella. You can use it for yummy Italian soups or for classic pasta dishes such as Pasta e Ceci. You can also use this pasta for salads. Organic Marella pasta continues its tradition of creating excellent quality noodles with this bag of yummy pasta. Winner of the 2013 Silver sofi Award for “Outstanding Product Line”, Try them out and see for yourself!